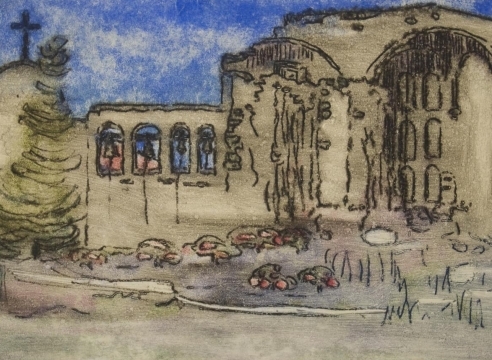 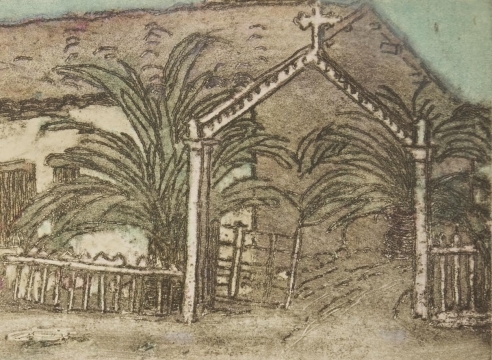 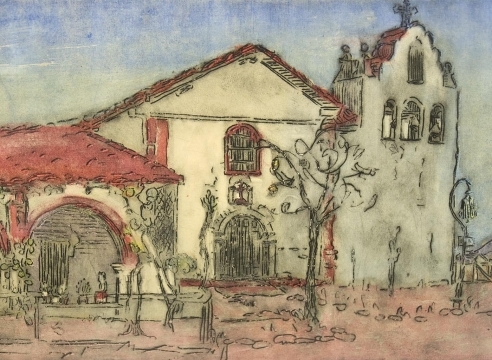 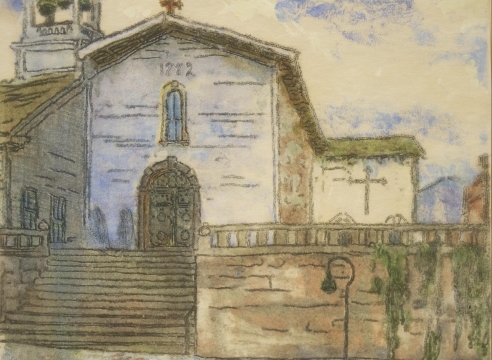 Sullivan Goss is proud to announce NELL BROOKER MAYHEW: Selected Works – an exhibition featuring a selection of eight freshly­ discovered color etchings of California missions. 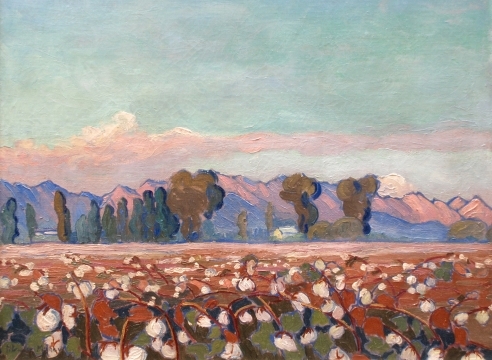 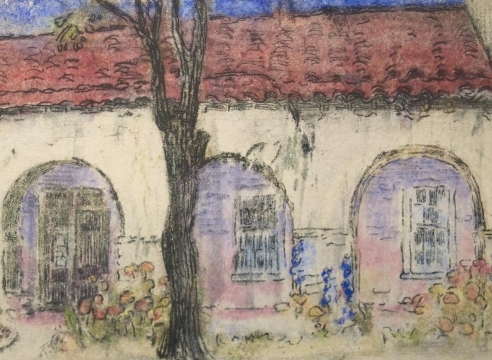 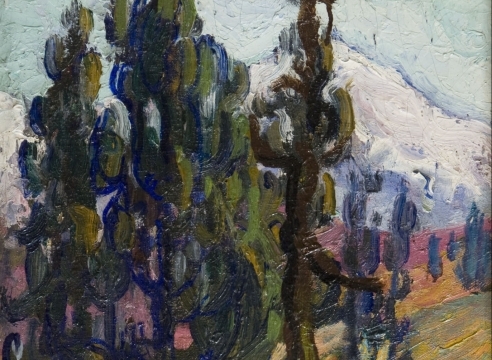 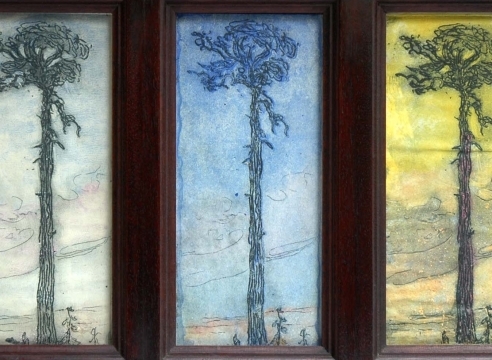 Nell Brooker Mayhew, a progressive artist from the Midwest, brought her innovative and individualistic vision out West to describe the California landscape and its architecture from 1908 to 1940. 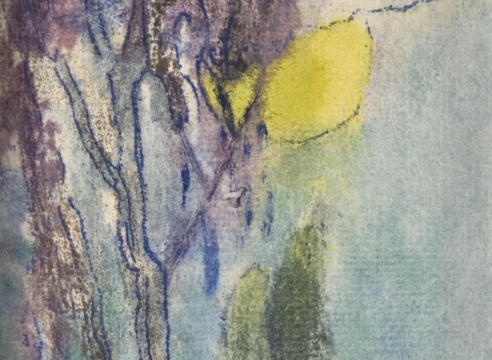 Sullivan Goss has owned and represented the Estate of the artist for over 15 years, but many of the images from this show have never before been displayed in the gallery. 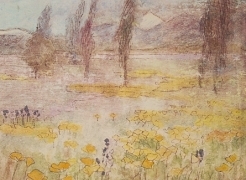 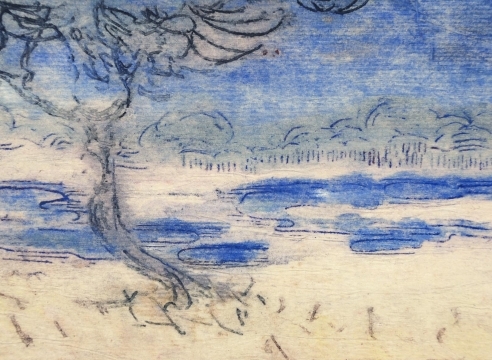 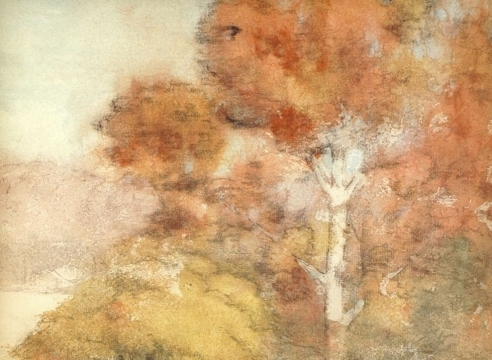 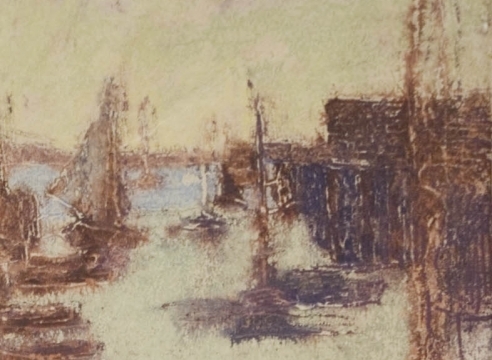 Nell Brooker Mayhew took her degree in French Impressionism from Northwestern University and went on to study at the University of Illinois at Urbana­ Champaign. 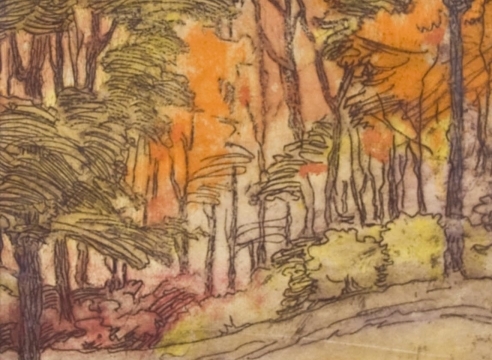 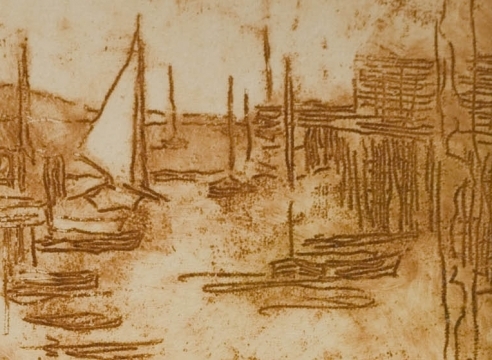 With her teacher Newton Wells, she patented her unusual “color etching” process, which involved making a monotype over an etching. 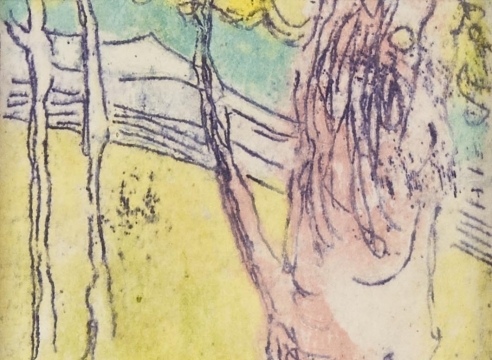 The painterly effects caused by painting by printing press (monotyping) placed Mayhew’s aesthetic solidly in the modernist vanguard. 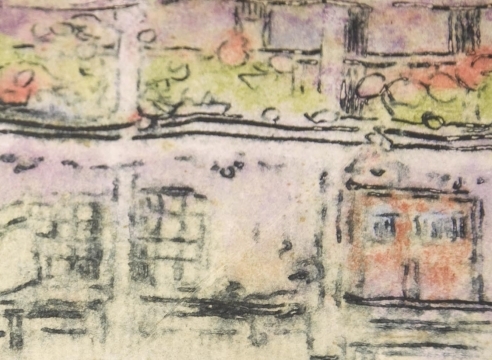 Her lyrical lines and reductive sensibility, likewise, showed her fluency with Japanese prints. 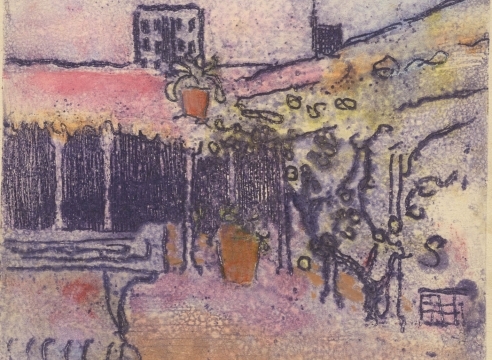 When she arrived in L.A. in 1908, she would have been one of the area’s most forward ­looking artists. 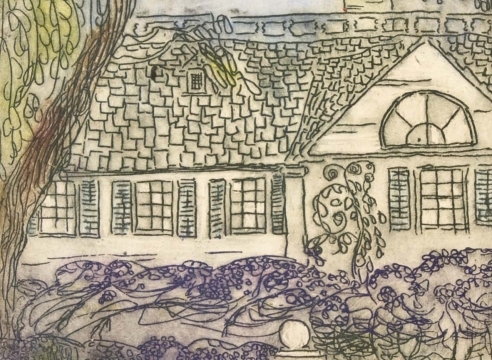 Today, art historians associate her work with Art Nouveau, Symbolism, and the Arts & Crafts movement – all schools or styles of work that represented the cutting edge of art from the 1880s into the mid 1920s. 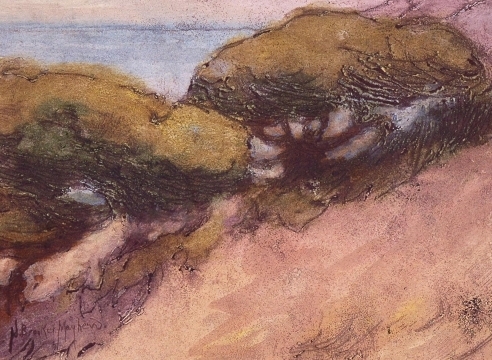 Mayhew and her work are thoroughly featured in Maurine St. Gauden’s four volume survey of early women artists of California, Emerging from the Shadows (2015). 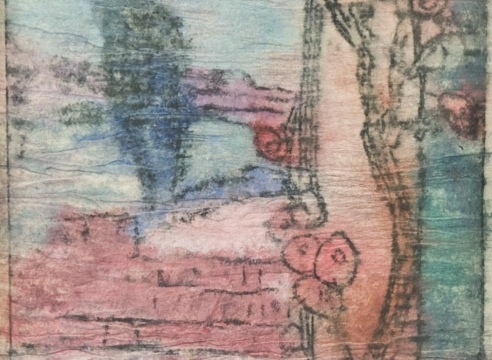 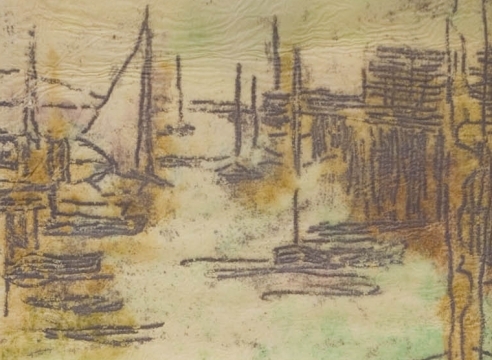 Beginning on September 29th, 2018, the Pasadena Museum of History will host an exhibition curated by St. Gauden’s that includes work by Mayhew.